When you come into our dental office, there are different ways we can repair broken teeth or even replace missing teeth. 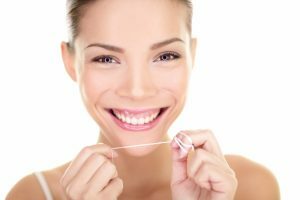 While there are many reasons for the deterioration of the dental condition, our goal is to restore function and aesthetics as soon as possible. Delaying or skipping treatment can worsen the prognosis and compromise the long-term outlook of a tooth. This is the most common type of restorative procedure. At our dental office, we only use white tooth-coloured filling materials. Not only do these restorations feel great, but as we match and blend them to the existing natural teeth, they provide a highly aesthetic result. They can be used to replace up to 50 percent of missing tooth structure. These are unique ceramic restorations that help preserve damaged teeth that do not yet require a full coverage crown. If more than 50 percent of the structure of a tooth is missing, these are the restorations of choice to ensure longevity and aesthetics. These are full coverage ceramic restorations that help extend the life of extremely compromised teeth. They are also indicated for teeth that have received root canal therapy in order to reinforce the remaining structure. As these restorations cover the entire tooth, we are able to make them virtually undetectable when we match them to the surrounding dentition. This provides both a functional and beautiful result. This is a restoration that can replace one or more missing teeth. Traditional bridges use natural teeth as anchors. With the advances in dentistry that are available today, we will often recommend dental implant restorations instead of a bridge, in order to leave the adjacent teeth intact. However, there may be isolated cases where a traditional bridge is the best choice.